← Auckland: A Million Skyline Looks. 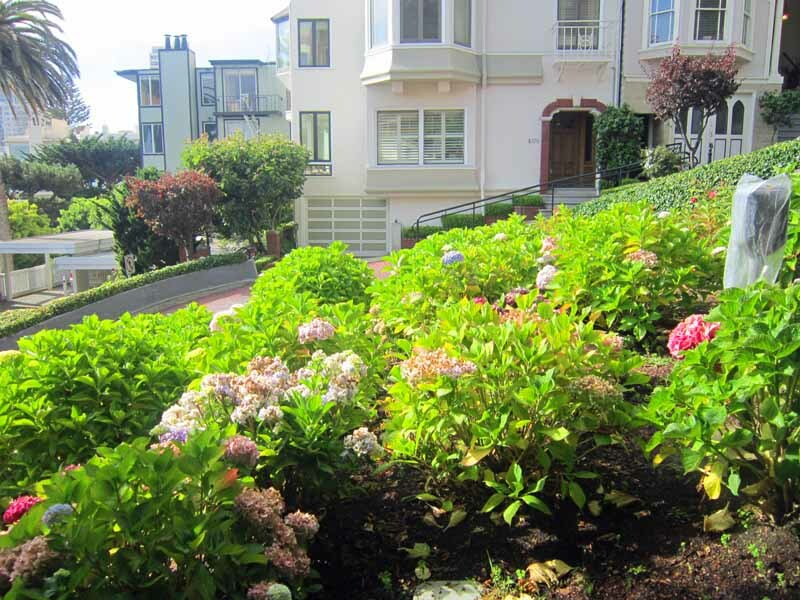 When people think Lombard Street in San Francisco, they think of the famous block in the Russian Hill neighborhood. Between Hyde and Leavenworth sits the curvy and steep, red-bricked road where you will find countless tourists, cameras and cars going through the hair pinned turns on any given day. As a kid, I always enjoyed going down the street in the car. On a recent visit I realized this one block of real estate in the city has so much more to offer outside of just driving the curves. 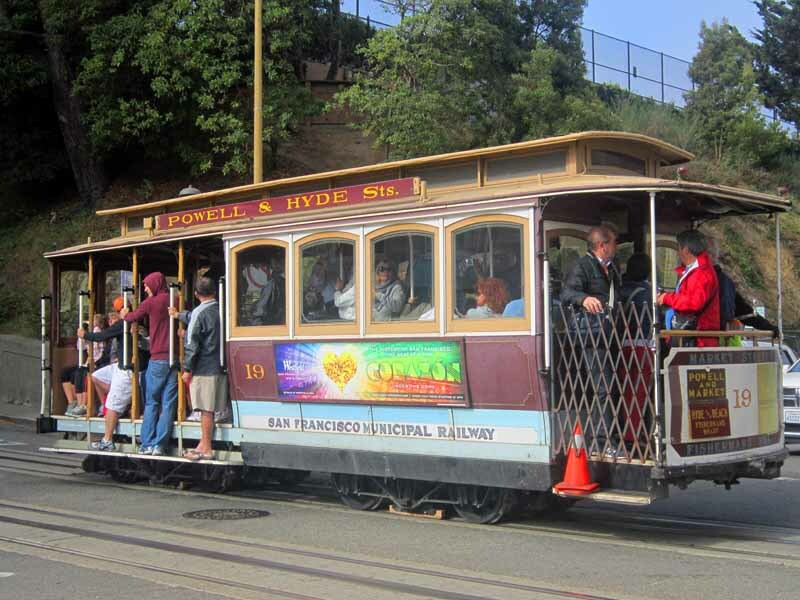 When at the top of the hill along Hyde Street you are bound to notice a cable car or two picking people up and dropping off. Grab a shot of the famed manually operated car. Better yet park your own car down at Fisherman’s Wharf and hop on the cable car at Powell and Hyde. 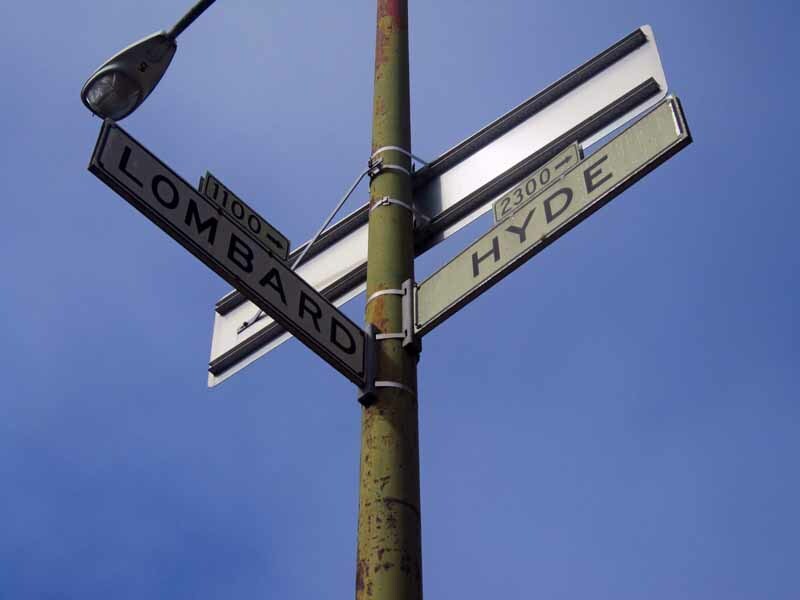 You’ll kill two birds with one stone, experiencing two San Francisco gems at once. Once you are dropped off and with no car to worry about it’s time to take the trip down the 250+ stairs on foot. While walking down on either side take the time to smell the flowers. 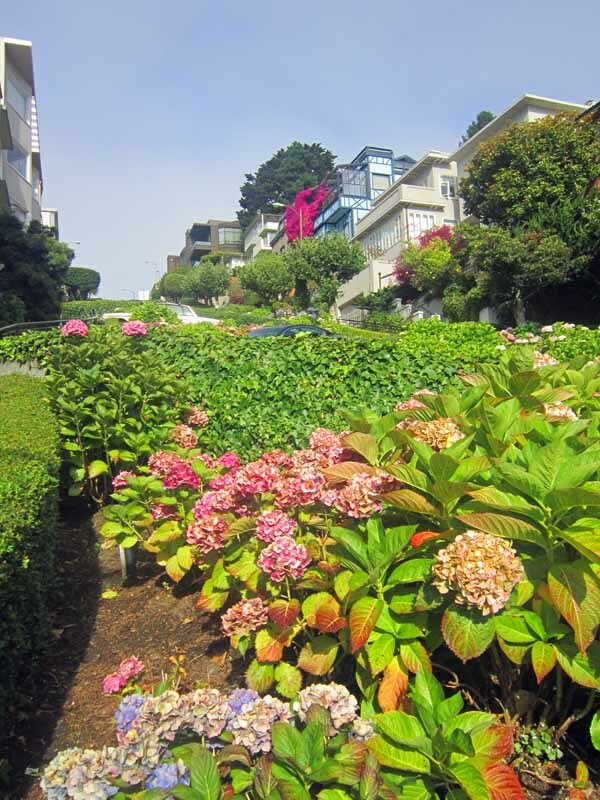 In summer, you will find both sides of the curvy street lined with greenery and colorful flowers in full bloom. 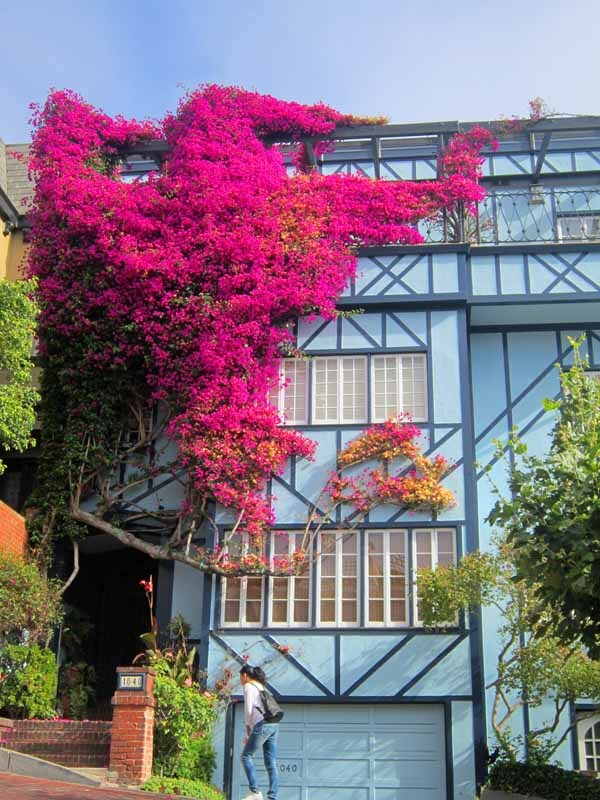 The flowers will also dot some of the houses themselves. Speaking of houses, the Victorian mansions alongside are colorful and picturesque in their own right. The housing costs in Russian Hill are beyond expensive, but I wonder what one of these houses goes for on the open market? I can only imagine. As you walk down take a look at the red-bricked street itself. Originally a cobblestone street and two-way, it has had the one-way, brick configuration since 1939. Wait for a break in the traffic and take a look. Make sure to people watch. You are bound to see people from all over the world taking selfies, using those pesky selfie sticks and posing for family photos, especially at the bottom of the hill. See how they are engaging with the street, what angles they are taking photos from. 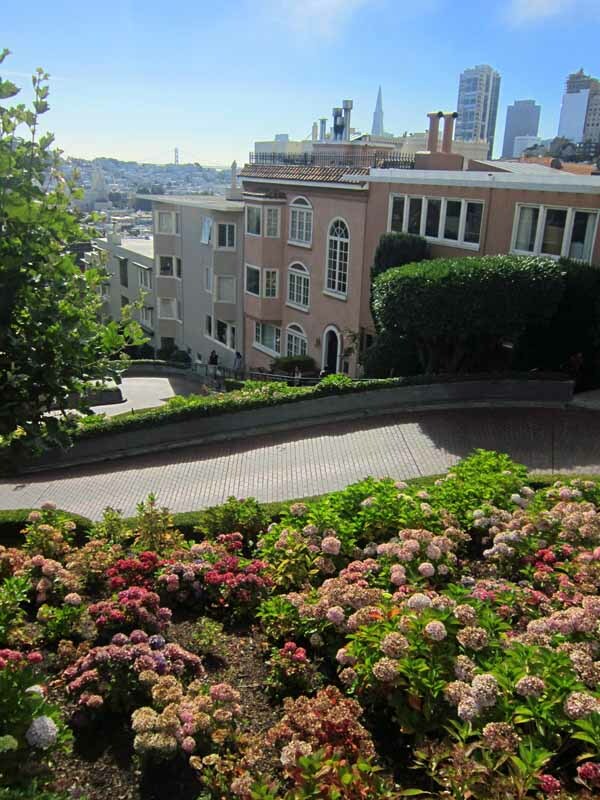 You can get even more ideas on how to experience Lombard Street. 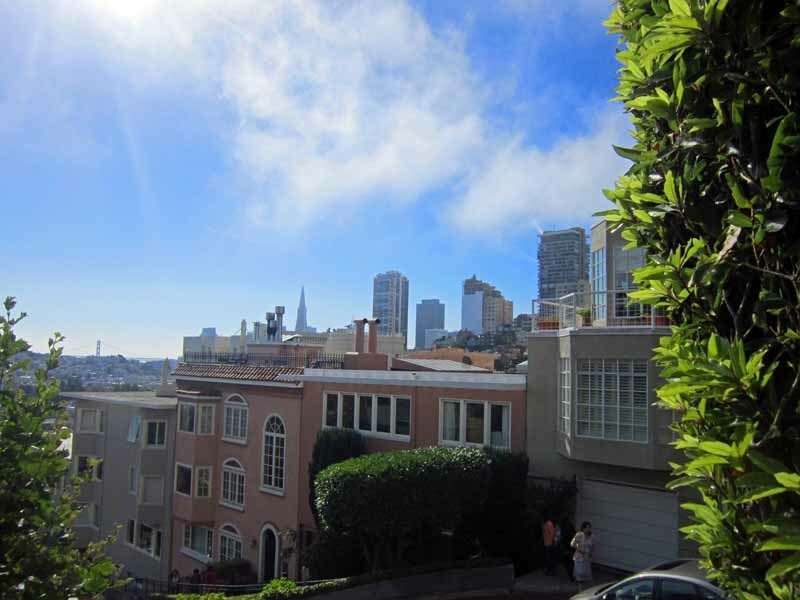 Now it is time to look beyond Lombard Street. While walking down look straight ahead. 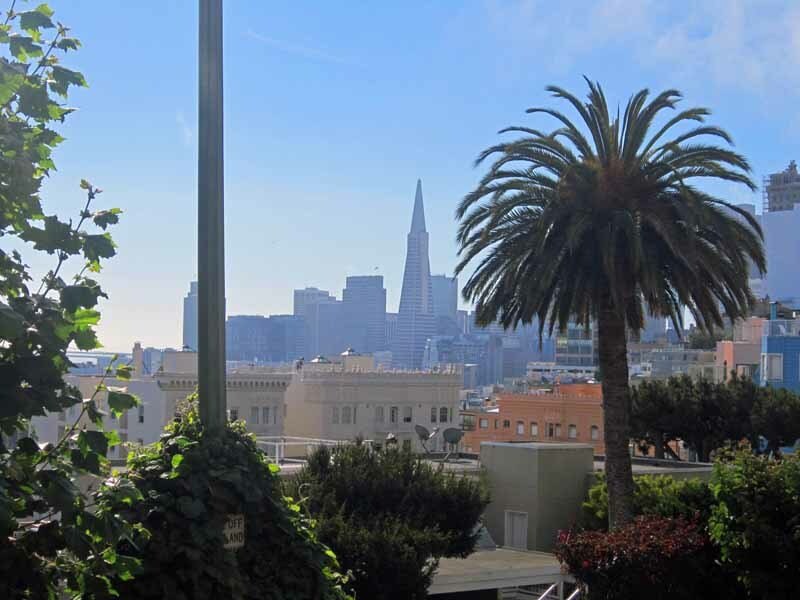 Scenic neighborhood views await with Telegraph Hill, Coit Tower and the Bay Bridge off in the distance. 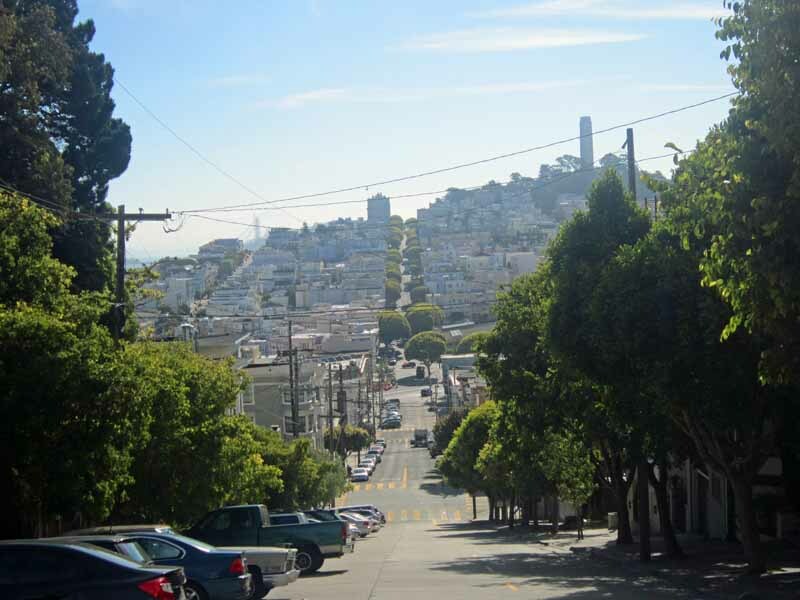 About half-way down the hill, glance to the right and you will see the Transamerica Pyramid, San Francisco’s tallest building along with other parts of the city skyline. Throw in a palm tree standing guard in front and you will find one of my favorite views of the city. 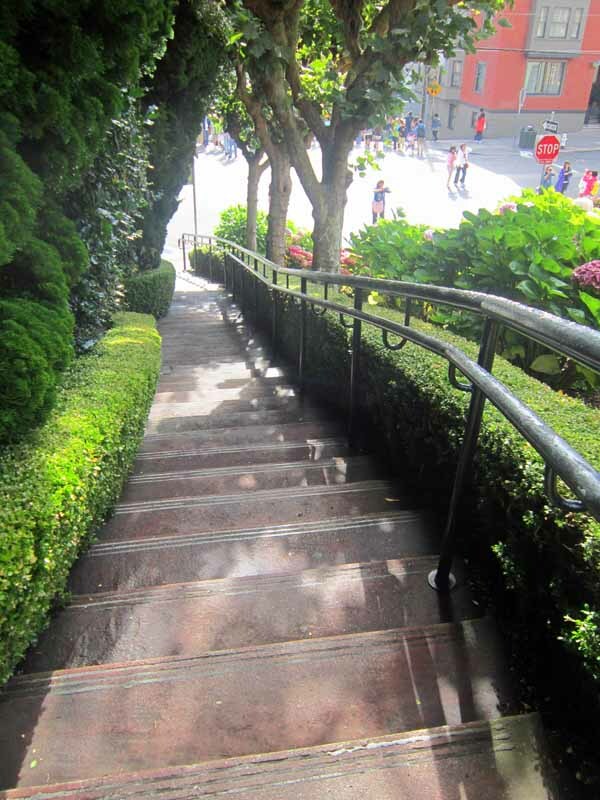 The only real way to experience Lombard Street is on foot. Public transportation and shuttles are not allowed and while it is fun to experience driving at least once, it often involves delays both at the top and while on the curves due to the streets popularity. 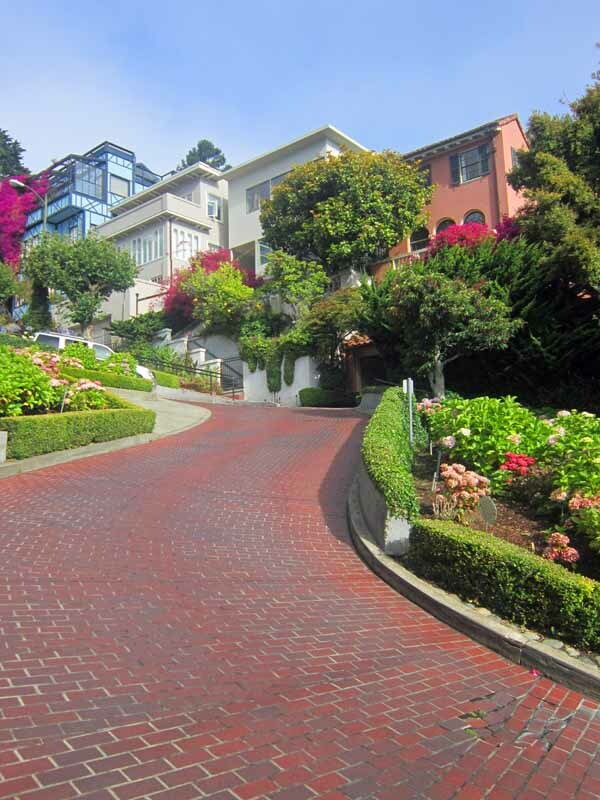 I look forward to getting out on the open red-bricked Lombard Street on foot again soon. 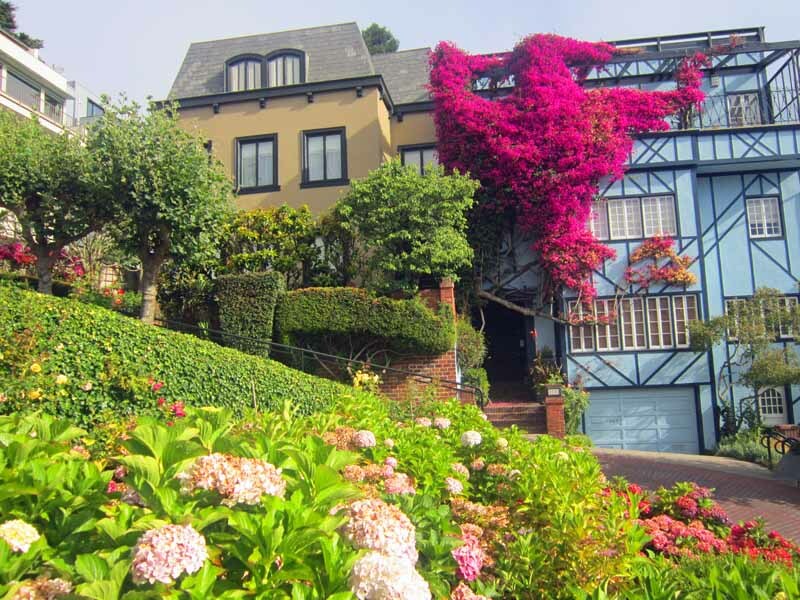 Lombard Street is just one of my ten ideas for taking San Francisco by foot. 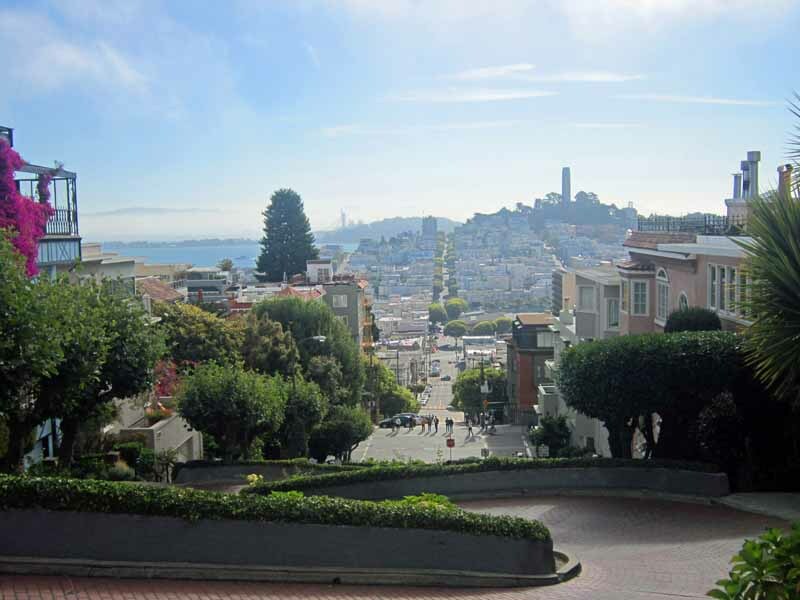 Have you gone down Lombard Street in San Francisco? If so, what was your experience like? 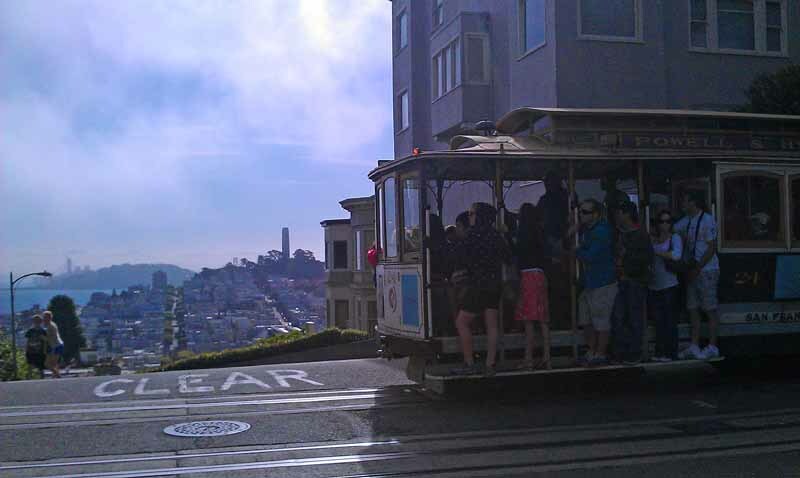 This entry was posted in California, San Francisco, travel and tagged cable cars, California, Lombard Street, San Francisco. Bookmark the permalink. Great post! 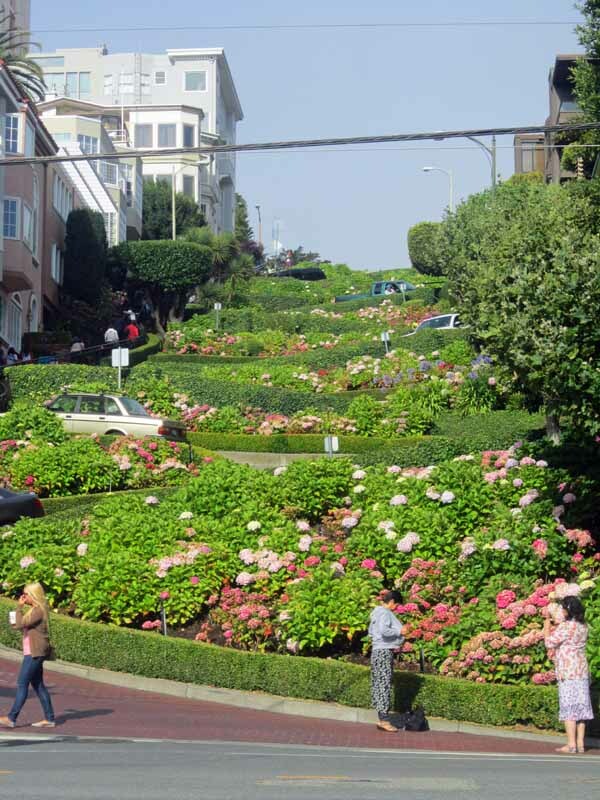 I really want to experience Lombard Street some day. Looks very pretty with the colouful flowers in bloom. As long as you are walking down and not up! Done both. Get good exercise walking up. Plenty of uphill walking opportunities in that city. 🙂 Saw a lot of joggers in the morning run up-and-down the hundreds of steps at The 16th Ave Tiled Steps. Yah, those tiles steps are awesome aren’t they? I only just found out about them a few years ago.